A true treat. Downloading to kill my travelers now. I have been waiting for so long and now I am finished downloading. I will be back to let you guys know what I think!! Here’s hoping someone mods in giant pink scorpion diggles. I must say. From the hour or so of it I’ve played so far, I’m seeing a lot of promise. But, the pace of gameplay seems a touch slow, IMO. 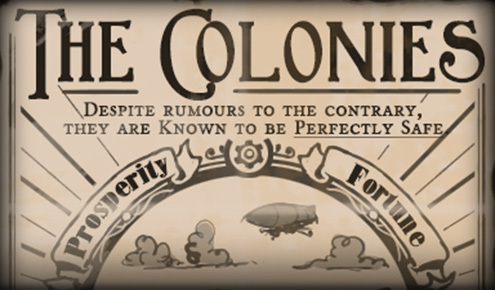 Are there any plans to add a fast-forward button, or is the idea that once the colony gets big enough the player will have enough on their hands that it won’t matter? You guys worked hard on this, and we have waited long! Here’s hoping for very successful release and cheers for game and it hopefully continual update and progress. Huzzah! I seem to have got a “good” set of Intel graphics hardware. Was not expecting this to run on my computer until a few versions from now. Cheers all! Feeling persecuted? Have nothing to live for? Saw something the eyes of mankind was never meant to see? Then join the colonies today! You can engage in exciting activities such as “Lumber jacking”, “Community focused worship”, “Accelerated Diplomacy with the Natives”, “Freeform Justice” and much much more! Exciting! Congratulations. I’ll probably wait for the Early Access but I’m stoked that you’re in a public ready-ish state. For gears and eldritch horrors. well i was happy to see a new update to the game and some nice improvements then I realized that I can not make planks at all. The code for planks is just gone cant make them manually and not with a saw mill so now my jobs fill up with furniture items and I cant tell my colonists to do jobs. Any one else having this issue?